David: For this project a big inspiration has been John Benson, British Coalminers in the Nineteenth Century: A Social History (1980). Benson was one of the first historians to examine non-fatal accidents in the coal industry and to show how these were much more common than the large scale loss of life in pit disasters. 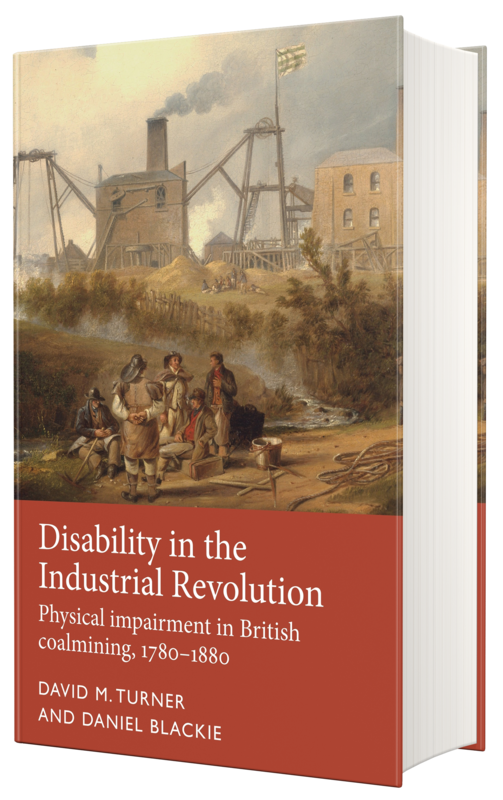 In our book we tried to find out what life was like those miners disabled in accidents and through chronic illness. Daniel: Reading the Disability Reader: Social Science Perspectives (1998), edited by Tom Shakespeare, was an important moment for me, as it helped me understand how disability studies scholars approach disability and convinced me that history has a vital role to play in the field. Daniel: I went down a mine, which is not really unexpected given the topic of our book, but walking on the wonderful Gower Peninsula during one of our writing ‘workshops’ certainly was. I’d recommend it to anyone seeking inspiration! David: Working collaboratively has been really enjoyable. The sessions Daniel and I had bouncing ideas around for each chapter, fuelled by strong coffee, were a really productive way to work. Daniel: Working as part of a team. Writing for historians is often a lonely and frustrating business and it was lovely to have someone to collaborate with during the process. We were also blessed with a super bunch of colleagues in the wider Disability and Industrial Society team, and I really appreciated their support, encouragement, and talents as scholars. I learned a lot from working with them! David: For academic authors, finding time to work on a project is always a challenge. I’m lucky to have a supportive Department which granted me a term’s sabbatical to immerse myself in the project. Daniel: Getting to grips with the voluminous literature on coalmining and the nomenclature of the industry was pretty challenging. David: This is my fourth book, and third on disability history. Daniel: This is my first book. David: Fantastic! I spent ages looking through it, admiring the well-crafted footnotes! David: We’re funded by the Wellcome Trust which requires our work to be Open Access. I heard a presentation by MUP at a Wellcome event on Open Access monographs and was impressed by the publisher’s willingness to embrace this kind of publication. Daniel: Apart from MUP’s credentials as an Open Access publisher, the fact the Press had an established disability history series was a big attraction for us. David: I’ve co-authored an article before but never a book. Luckily Daniel was a model co-author! We were able to divide work up between us quite easily, and managed to keep to deadlines. Daniel: I had never co-authored anything before, so the whole dividing up writing duties and sharing half-formed ideas in the early phases of our collaboration was very new to me. It didn’t take long to grow into though, and I found it a rewarding experience – so much so that I’m already back at work with David on an article about disability and class in the nineteenth century. David: Daniel and I have an article planned that explores disability and class in nineteenth-century Britain. I have a number of plans for future projects including work on the history of facial disfigurement and possibly a project on the history of mobility impairment. Daniel: In addition to the disability and class article I’m currently working on with David, I’m also planning a project that looks at disability and life writing in nineteenth-century England. 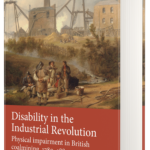 Disability in the Industrial Revolution is available now. Read a sample chapter here. Category: Author Q&A, Blog, Disability History, History	0 Comments.